Do you want your vocals to sound like a chorus of modulated Moog oscillators? How about getting your drums to play rhythmic chords? Are you totally into robotic-sounding alien pads? If you answered "yes" (or even “maybe”) to any of the above, then you need to get Vocoding! Let David Earl –our star MPV super-trainer– enlighten you! He starts this journey with a field trip into the history of Vocoding. 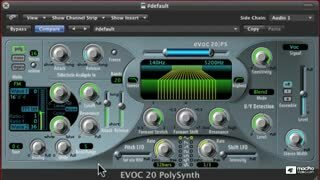 You’ll learn why vocoders were invented, how they were initially deployed and the fantastic physics behind how they make inanimate objects sound like they’re singing! 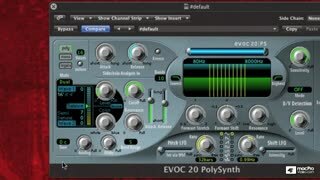 But get this: Did you know that the EVOC is a full-blown standalone synth,? Well, it is and in the next section the amazing Mr. Earl explains its different synthesis engines and how to program them. 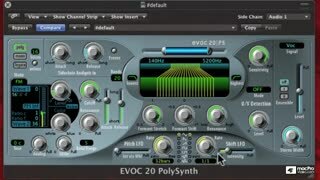 You’ll learn all about the EVOC’s extensive library of built-in wave tables, its overtone rich FM synthesis engine, and the sweepable lowpass filter and filtered noise generator. Now it’s time to Vocode! David explains the EVOC’s deep “center section” with all its programable formant bands, U/V detection (no sunglasses needed) and ultra cool modulators. 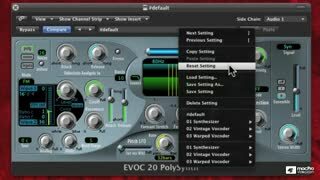 This is where all the Vocoding magic happens and soon you, too, be mastering all the EVOC’s controls. 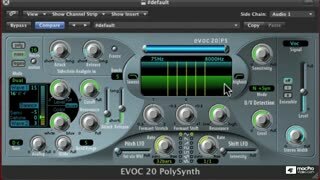 So join David Earl and learn how the EVOC 20 PolySynth can be instrumental in making synth tracks sing, creating robotic voices and just doing some really weird and crazy-cool sonic effects! 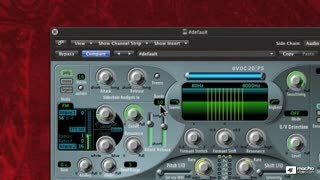 Check out the world's best selection of Logic tutorials below. Buy a bundle and save up to 50% off the list price! Awesome tutorial. Very good inmstructor. This course covers so much material. Eye-opening course! 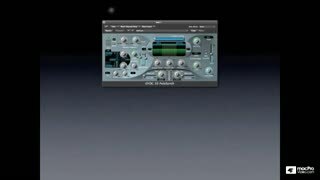 It is such a privilege to learn about all the otherwise complicated plug-in parameters and also follow an experienced instructor on a step-by-step journey of basic and creative applications. Invaluable! Excellent course! This is a great course and David is a great instructor. Always concise, informative, and thorough on all functions of every knob, slider, display, and function of the unit he is working with. Very helpful in understanding the many components that make up the EVOC20! 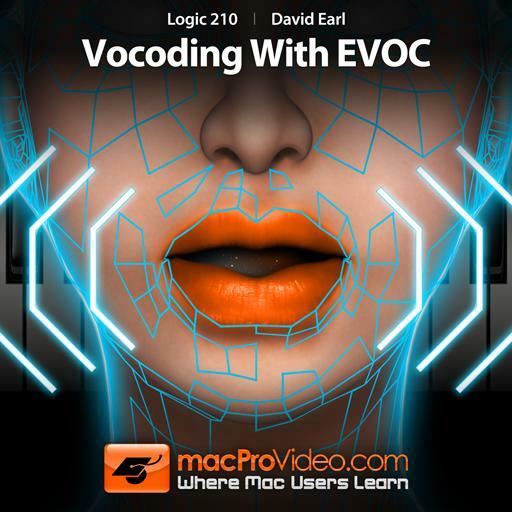 Great little course on Logic Pro's EVOC 20 Vocoder by David Earl. Dave provides an overview of all the EVOC's features and demonstrates how it can be used in several practical applications - definitely worth the watch for any Logic Pro users. 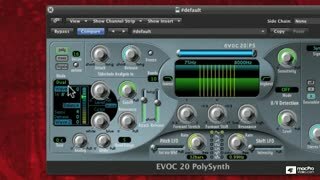 David Earl digs deep in this tutorial, starting with a history of Vocoding, explains every parameter and then starts to tweak. 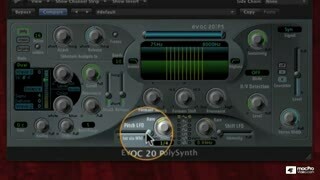 Great tutorial, thanks MPV/David. very informative and presented with a great flow! 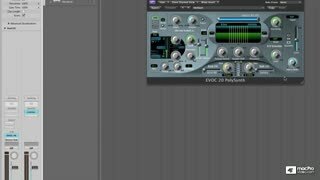 I've never tried player a vocoder before but recently my interest in EDM has risen & I figured I'd give this tutorial a shot. 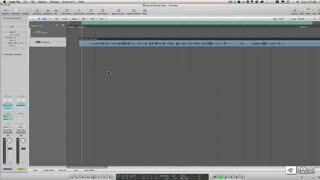 Definitely a great starting point for someone new to vocoding. VERY INFORMATIVE. IF YOU LISTEN CLEARLY AND FOLLOW THE INSTRUCTIONS YOU WILL ONLY NEED THIS TUTORIAL 1 TIME. 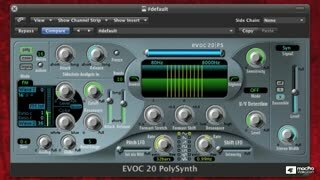 DEFINITELY A MUST HAVE FOR ALL CREATIVE LOGIC USERS.